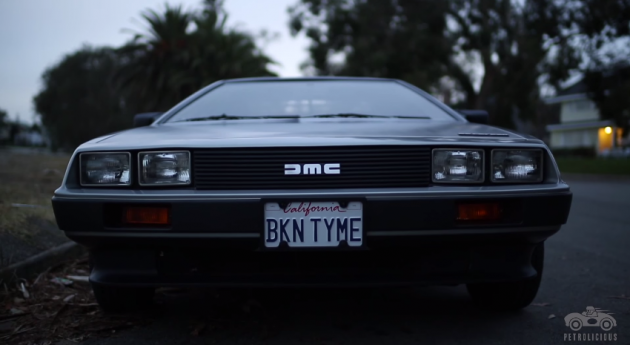 Did you know that you can still buy a factory-new DeLorean? When the DeLorean hit markets in the early ’80s, with its gull-wing doors and overall futuristic appearance, consumers had barely seen anything like it before. It’s really no wonder that Robert Zemeckis chose a DeLorean to receive a time-machine-upgrade in Back to the Future. The edgy vehicle was perfectly trendy and appeared to be from another time. His film series would go on to immortalize the DeLorean, so although John DeLorean’s company would never make another model, the allure of the classic car lives. In fact, you can even still buy a factory-new DeLorean. Right now. At least – you can get on a reasonable waiting list for one of the models from the DeLorean Motor Company (DMC). The DMC is located in Humble, Texas, though their website boasts five other locations, four of which are right here in the United States. The auto company has been restoring DeLorean models for years, amassing an enormous collection of DeLorean parts over time, including all of the leftover pieces from the original Belfast factory. Now they have more than “99 percent” of the required parts to create a fresh DeLorean from scratch, according to James Espey, DMC’s vice president. The remaining parts can be re-produced or acquired elsewhere, and boom, you’ve got yourself a factory-new DeLorean. However, the DMC warehouse only has enough parts to make a maximum of 500 cars, so serious buyers better get in line quickly. Below is a video that documents the history of the DMC and explains their current sale strategy. Definitely check out the DeLorean website if you’re looking to restore a DeLorean or simply your glory days. Of course, if you’re considering one of these new DeLoreans, brace yourself. There might not be a populated location in the country – or perhaps on Earth – where Back to the Future references will not be hurled at you. But isn’t that what you’re truly looking for?